Strong enough to hold a family of coats while stylish enough to hold its own. This robust five armed coat rack is cast in a practical swinging design offering maximum storage in a compacted space. 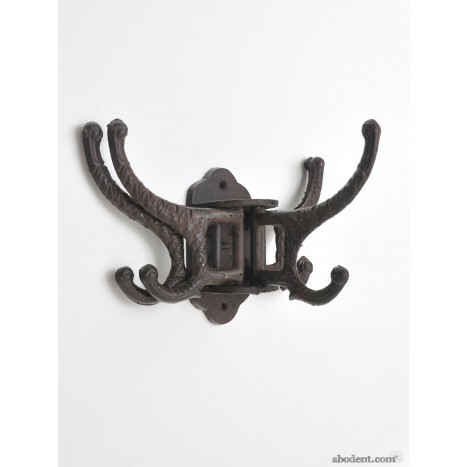 Tags: wrought iron coat rack / hook, pivotin coat hook, foldaway coat hook, heavy duty hook, swinging coat rack, cast iron wall mounted coat racks.